Pratt set the standard for all adult adventure comics in Europe, and by the mid-1970s Corto was the continent’s most popular series and Pratt the world’s leading graphic novelist. “He is one of the true masters of comic art,” says Frank Miller. 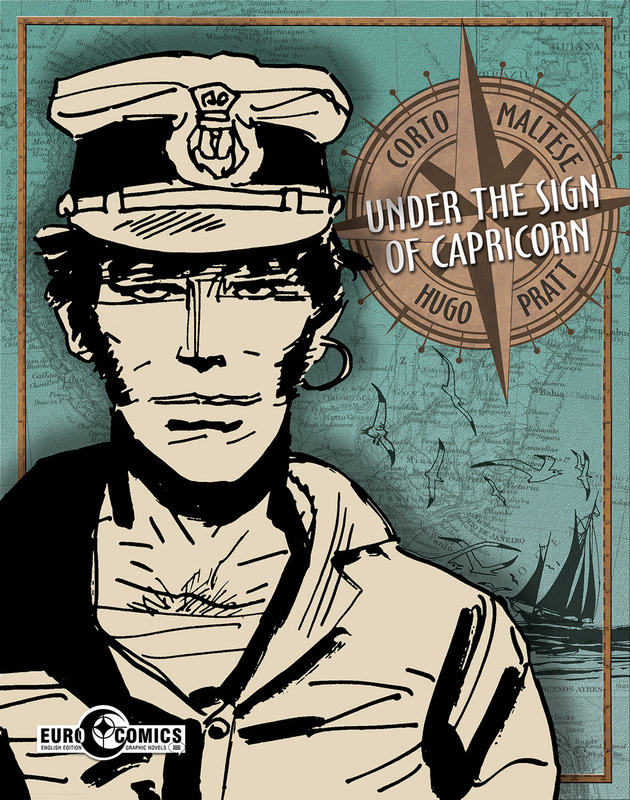 Pratt’s books remain best sellers in Europe and are published in a dozen languages yet until now, Corto Maltese has been poorly represented in English. EuroComics is working closely with Patrizia Zanotti, Pratt’s long-time collaborator, to present the complete Corto Maltese in a series of twelve quality trade paperbacks in Pratt’s original oversized black and white format. They will also feature new translations from Pratt’s original Italian scripts by Simone Castaldi, Associate Professor of Romance Languages and Literatures at Hofstra (and author of Drawn and Dangerous: Italian Comics of the 1970s and 1980s), and Mullaney. The second volume, collecting the subsequent five stories, and will be released Spring 2015. The series will also be released in a matched set of six original art-sized limited edition hardcovers, each containing the equivalent of two of the trade paperbacks.